Better late than never! 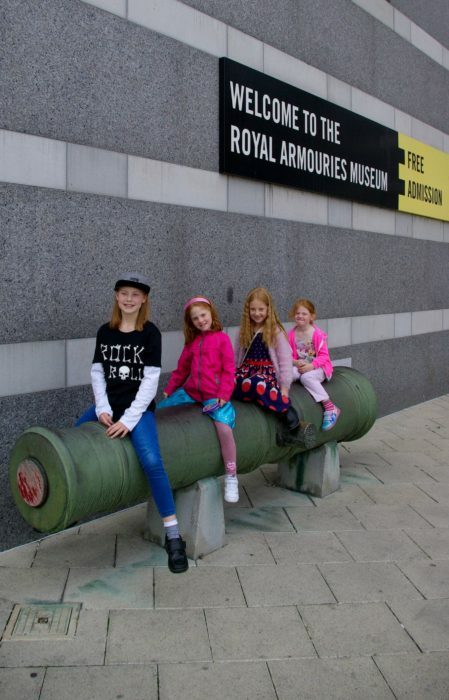 In October 2016, we made the trip over to Leeds to visit the Royal Armouries. It’s another great free day out, but not to suit everyone’s taste. I knew that not all my girls would enjoy this one, but I made them all go anyway. It’s character building, and we needed somewhere new to see which wasn’t too far away, indoors, and didn’t blow our budget. The eldest one enjoyed lots of aspects of it, and there were parts that the younger ones liked too, but that didn’t stop them moaning all the way around. 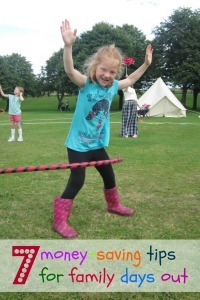 Not one of our easiest days out, but that’s not the fault of The Royal Armouries – I enjoyed it even if the younger members of our party didn’t. The Royal Armouries is brown signposted once you get into Leeds, and also from the outskirts (although the day we went the sign from the M62 was down because of maintenance work and we missed the turning altogether). The museum is a huge, modern building in the Leeds dock area which also has shops, restaurants, and public space. Citipark car park is right next door. It’s not cheap but I can highly recommend it for convenience. A cash machine is near the convenience store. Entry price – free for everyone. 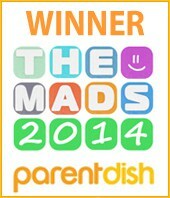 Winners! The museum has a couple of cafes, toilets, lifts to all floors, and baby changing facilities. The stairwell is simply stunning. 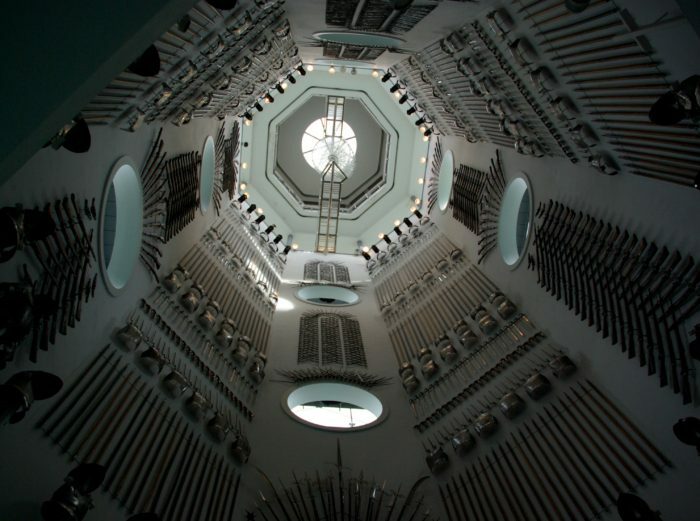 The Hall of Steel displays swords, guns, helmets, and more in an amazing formation. 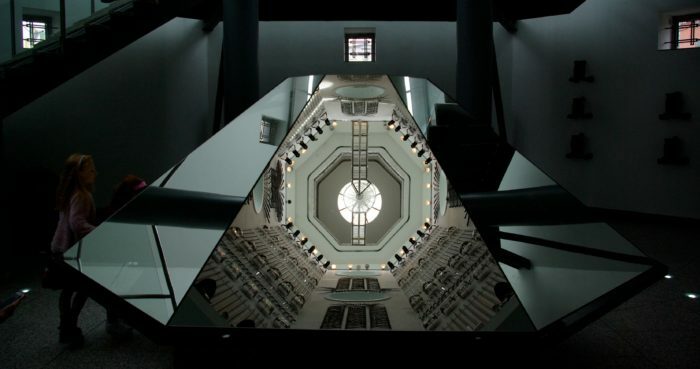 If you get tired of looking up to see everything, you can use the handily placed mirror instead. You can explore the numerous galleries at your own pace and in whatever order you like. 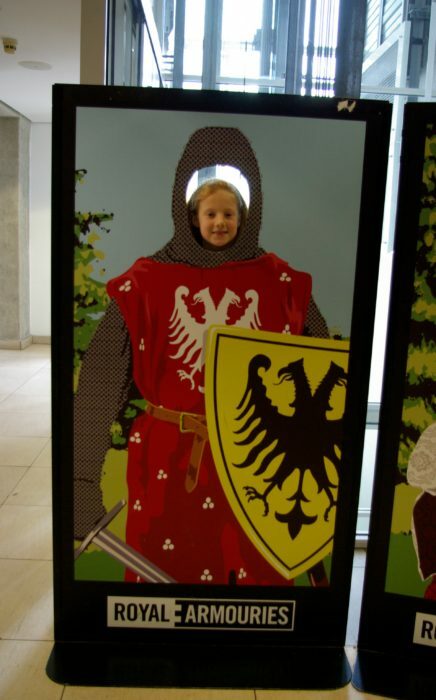 We popped our head into the modern war gallery which looked to be displays on modern weaponry, armour, and warfare but I thought this might be a bit too close to home for the younger ones, so we made our way to the more family-friendly Medieval and renaissance war rooms instead. Here we found lots of displays of weapons and armour, including those produced for animals such as horses and elephants. The Oriental gallery had displays on a – you’ve guessed it – oriental theme. There was lots and lots of things to look it, and the children were starting to get a little overwhelmed with it all. I think they really wanted to touch it, which, thankfully, they couldn’t! We watched a film about a battle during the English Civil War which made one of the twins have a nightmare. I liked it though. It wasn’t too gory and told the story of a battle which happened not far from where we live. We had a play with some interactive displays. Upstairs there is a children’s play area – which was closed when we visited – and something a lot more fun – a crossbow range. For a few pounds you can shoot some arrows in the range under the supervision of a (very patient) instructor. The twins were too young but the 9 year old and 12 year old loved this. Next door was a gallery about modern crime and a huge exhibition of police armoury and weaponry and some great explanations about modern-day policing. For fans of Tolkein, there is also a cabinet with replica swords from the Lord of the Rings films and books. The 12 year old liked the Peace exhibition which talked about the peace movement and opposition to war through the years. There was some very thought-provoking artwork. I liked the tournament gallery and I tried to convince the girls to hang around for a sword fight demonstration but they were having none of it. I decided to give it up for a bad job and do our own battle in the cafe and the gift shop instead. Interest in weaponry increased ten fold once they could pick it up and use it on each other. I decided a gift shop purchase on this occasion would be for the brave or foolhardy. Verdict – amazing free day out if you like history and military things. My girls were not overly impressed with the theme of it, but I liked it – can’t beat a bit of war history to help us understand the world we live in today. It’s pretty child-friendly and has everything you need for a day out. 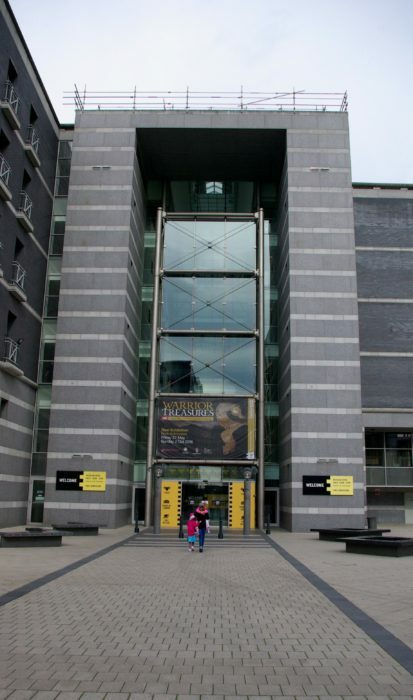 If it’s wet weather and you have an afternoon to kill during the school holidays, then there are worse places to go than The Royal Armouries. I absolutely agree with the above, a very honest review! We live in Leeds and also go because it’s free and indoors but are able to catch a local bus and the get the FREE water taxi along the river and into the city centre. Note there are just 2 boats going back and forth and can get quite busy, we make a donation towards costs and the kids love I. Because the Armories is free, I don’t mind leaving once the kids get too restless, as we can go back any time, but don’t spoil it for ore people. It’s worth checking their site at they lots good events, we saw lots of Superheros last time which went down really well.